I'm passionate about my relationship with God, and I created this site to help you connect with God more deeply, too. The Bible says that all of God's people can hear and recognize His voice (John 10:27). The people we know best are the ones with whom we spend the most time. His Inscriptions is devoted to ​Restoring Life-Giving Communication with God. Everything you'll find here is designed to bring the Word to life! ​Take a quiet moment, pour yourself a cup of tea and find a comfortable spot. Read an inspiring article or watch a video on YouTube. Subscribe to my free weekly blog for prophetic teaching on living a life of faith. Follow me on Facebook or Twitter for daily updates or send me a prayer request. above all, listen for the still, small voice inside as God inscribes His thoughts on your heart. "You are our letter, written in our hearts, known and read by all men... you are a letter of Christ, cared for by us, written not with ink but with the Spirit of the living God, not on tablets of stone but on tables of human hearts." 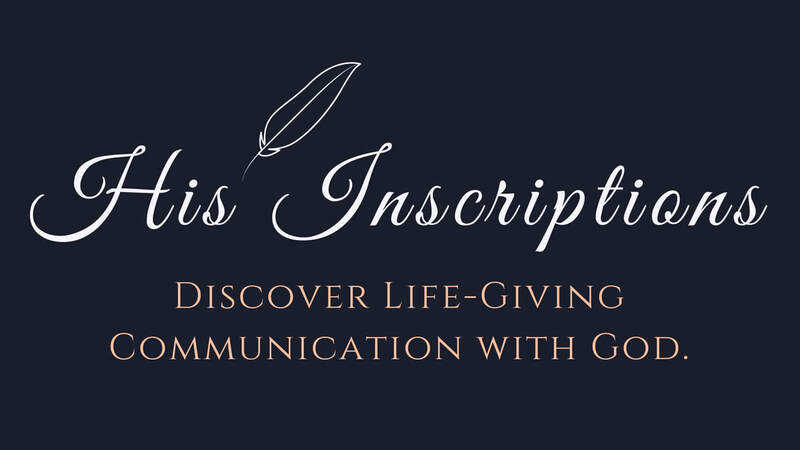 Discover Life-Giving Communication with God through His Inscriptions! Biblical Christian ministry includes teaching on prayer and how to hear from God, by Deborah Perkins. Online mentoring and discipleship through inspired writing, prophetic words, and a free weekly blog. Follow us on Facebook and Twitter!